Translating somatic cell genome-editing tools and technologies toward clinical use is the focus of a new NIH program, to which the agency is committing approximately $190 million over six years. Develop assays for testing the safety and efficacy of the genome editing tools in animal and human cells. Researchers funded through the Somatic Cell Genome Editing program are expected by the NIH to assemble the tools and tech they develop into a genome editing “toolkit” of knowledge, methods, and tools, all to be shared with the scientific community. 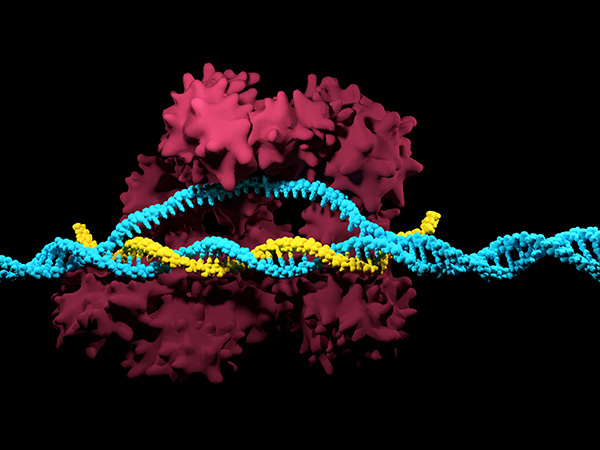 “Genome-editing technologies such as CRISPR/Cas9 are revolutionizing biomedical research. The focus of the Somatic Cell Genome Editing program is to dramatically accelerate the translation of these technologies to the clinic for treatment of as many genetic diseases as possible,” NIH Director Francis S. Collins, M.D., Ph.D., said yesterday in a statement. The NIH said funding opportunity announcements for the program are expected to be issued within a month. The program will be funded through NIH’s Common Fund, and managed by a trans-agency Working Group representing multiple NIH Institutes and Centers, led by the National Center for Advancing Translational Sciences (NCATS). Because the program is focused on nonreproductive somatic cells, any changes to the DNA wrought by the genome-editing tools and tech will not be inherited—avoiding the ethical qualms raised by permanent germline editing of human genomes. Somatic cell genome editing is among applications of CRISPR (clustered regularly interspaced short palindromic repeats) technology to be explored by The CRISPR Journal, an international, multidisciplinary peer-reviewed journal being launched this year by GEN and Clinical OMICs publisher Mary Ann Liebert Inc. The program, Barrangou said, reflected growing commitments by federal agencies to CRISPR in addition to increasing private and industry investments in the genome-editing technology. The program emerged following a July 2017 workshop that brought together researchers and executives from industry, academia, and federal agencies, along with patient advocacy groups. They discussed the potential for NIH action and identified five gaps toward translation of gene-editing technologies into therapies: Relevant human and animal model systems for preclinical testing; cell- and tissue-specific delivery systems; standardized assays for measuring genetic off-target effects; improved editing machinery (nuclease alternatives); and long-term cell-tracking assays. The program was first publicly discussed September 1, 2017, during a presentation to the NIH’s Council of Councils by Mary Ellen Perry, Ph.D., a program leader in the agency’s Office of Strategic Coordination. In slides accompanying her presentation, Perry said the program’s goal was to facilitate Phase I/II trials of new somatic gene-editing therapies by developing and providing broad access to: Animal models for gene editing research and preclinical testing; new methods to assess intended and unintended biological effects; efficient, effective, and specifically-targeted in vivo delivery systems; and improved human gene-editing tools. Perry said the program’s potential impact included increased access to IND-enabling technologies, accelerated filings of INDs and faster approvals for new gene-editing therapies, new therapeutic approaches, and even cures for monogenic diseases. The announcement of the program was reported without comment by China’s state-run Xinhua news agency. At least 86 Chinese patients have had their genes edited in clinical trials of CRISPR/Cas9 technologies, The Wall Street Journal reported on January 21.